We’ll have to wait until next year for Conan O’Brien at Comic-Con. 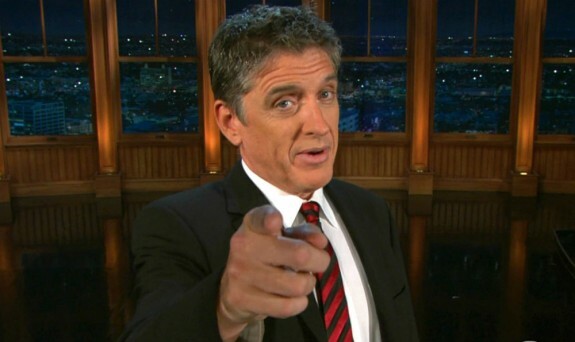 But Craig Ferguson has got Comic-Con covered for 2014 in a most appropriate role. The Scottish-born late night host is set to moderate HBO’s Game of Thrones panel Friday at Comic-Con. While Queen Elizabeth examines the Iron Throne, Prince Philip greets Thrones cast members (from right) Sophie Turner (Sansa), Rose Leslie (Ygritte), Kit Harington (Jon Snow), Conleth Hill (Varys), and Lena Headey (Cersei). To the left of the Throne is series co-creator D.B. Weiss. 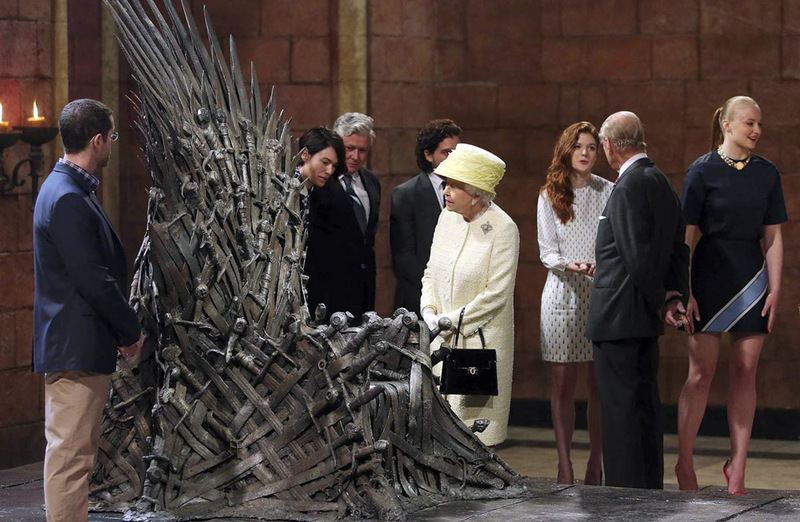 And in case you missed it, Queen Elizabeth proves to be a pretty good fan of the show herself. There must me a joke there somewhere. It will likely be too late for Ferguson to use on the panel but he might be able to wring out some use for it. If he can somehow bring the Queen to Hall H, then that has got to be the best publicity stunt ever pulled. So, make sure to set up camp. As reported by Deadline, the show is set to begin in Hall H on Friday at precisely 1:40pm. And you can expect a full roster of glowing talent: showrunners David Benioff and D.B. Weiss, author and co-EP George R.R. Martin, and stars John Bradley (Samwell Tarly), Gwendoline Christie (Brienne of Tarth), Nikolaj Coster-Waldau (Jaime Lannister), Natalie Dormer (Margaery Tyrell), Kit Harington (Jon Snow), Rose Leslie (Ygritte), Rory McCann (Sandor “The Hound” Clegane), Pedro Pascal (Oberyn Martell), Sophie Turner (Sansa Stark) and Maisie Williams (Arya Stark). Editor’s Note: Help keep Comics Grinder healthy and growing and consider supporting my GoFundMe campaign right here. You can also donate to Comics Grinder by clicking the PayPal button below. Let me know if you’re interested in an art or writing commission! Thank you! Oh God! Get me in line already!! !